On this day, the regiment moved its camp back across Cumberland Ford to the south side of the Cumberland River and up to a place called The Moss House, named after a previous tenant no longer occupying the property. This would be the regiment's final campsite before participating in Gen. George W. Morgan's assault on the Rebel held stronghold of Cumberland Gap, just about 11 miles south. 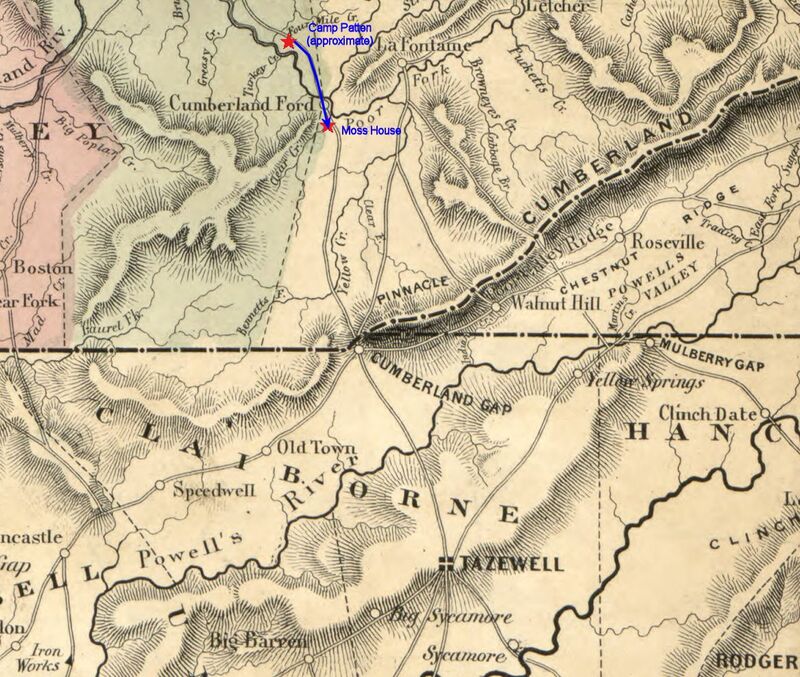 Period map showing the approximate route of the 16th Ohio from Camp Patten to a new camp at Moss House, about 1 1/2 miles south of Cumberland Ford, Kentucky.